You could spend weeks online and not come up with half of the proven techniques and fascinating examples of the do-it-yourself life that are found in this innovative guide. Besides describing the highlights and unique features of each site, the author has created a special Web site that links to each one so that you wont have to type lengthy URLs to reach your destination. Plus, these links will be updated frequently to make sure they are live and that the very latest information is included its like getting a revised and updated edition of the book automatically. 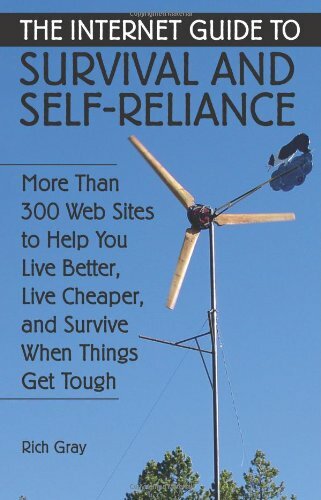 Learn how to provide for food, water, shelter and defense; grow and preserve fruits and vegetables; harvest wild foods; make booze; craft fishing nets, candles and pottery; build and repair electrical and mechanical devices; harness solar, wind and hydro power; save money on just about everything; set up an emergency communications network and much more. 5.5 x 8.5, softcover, photos, 224 pages.